JAMES M. KOUZES is the Dean's Executive Fellow of Leadership, Leavey School of Business at Santa Clara University, and lectures on leadership around the world to corporations, governments, and nonprofits. BARRY Z. POSNER is Accolti Professor of Leadership and former Dean of the Leavey School of Business, Santa Clara University. An accomplished scholar, he also provides leadership workshops and seminars worldwide. 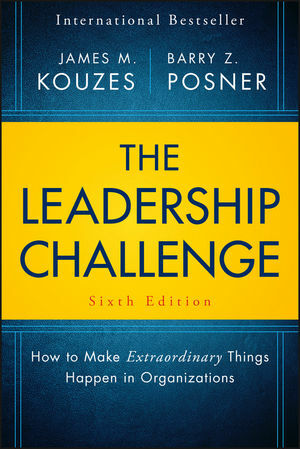 Kouzes and Posner are the authors of Learning Leadership, Credibility, The Truth About Leadership, A Leader's Legacy, Encouraging the Heart, and The Student Leadership Challenge, among many other works. They also developed the highly-acclaimed Leadership Practices Inventory (LPI)®.